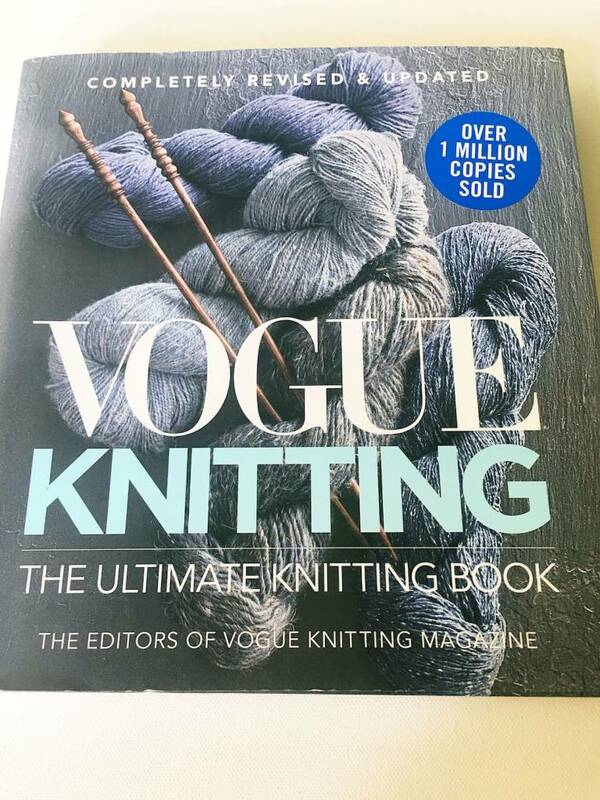 At the end of last year, I purchased the The Ultimate Knitting Book by Vogue Knitting as I wanted to have a reference book that had all my knitting references in the one place. I normally rely on the internet and Youtube if I am stuck on a certain knitting technique, but then I would always forget where I found that reference. Which would lead to precious time wasting searching for it again. Hence why I purchased this book as I knew it would be a whole lot easier to just reach over to my book case to find my solution. I love this book because it has all aspects of knitting covered for a beginner and an experienced knitter like myself. I was quite interested in learning some new knitting techniques this year and this book has helped me out a lot. I love it how each chapter has clear instructions, lots of pictures, well written and easy to understand. I particularly liked the Finishing section as this has shown me how to neatly finish off my knitting. The Designing Sweaters chapter also took my eye as this is definitely something that I want to delve into further in my near future. Overall I would definitely recommend that you look at adding this beautiful book to your knitting books. Or if you have none yet, start with this one for sure. Heads Up: My posts may contain affiliate links! If you buy something through one of those links, you will not pay a cent more, but we’ll get a small commission, which helps keep the lights on here at Woolswap. Thanks! Woolswap has been a really fun way of meeting new crafters and sharing ideas and links to patterns and all kinds of stuff. I ended up finding some awesome Ravelry pages and got to experience gorgeous yarns from the other side of the globe. I have enjoyed conversations about a range of crafts with my woolswap buddies and learning about different parts of the world too.